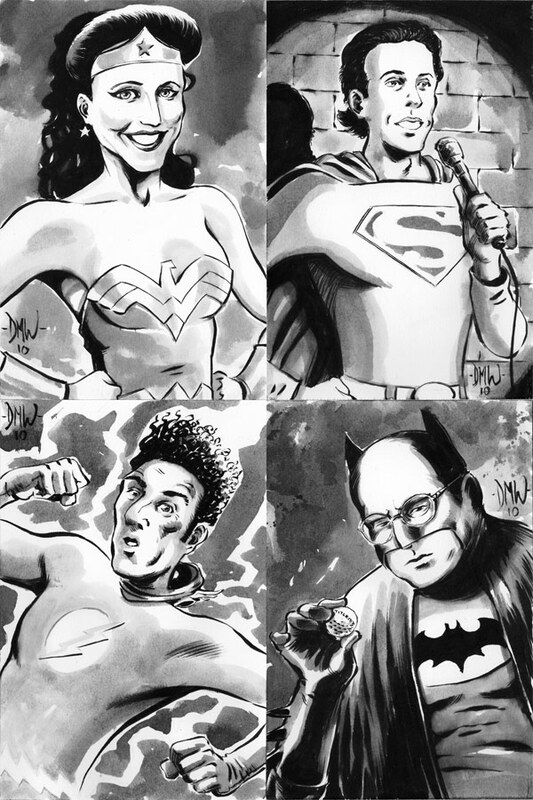 David Watcher put two of my favorite things together Seinfeld and DC Comics. Prior to his fantastic artwork, I would have never thought it possible that the two would meet. I love George Constanza as Batman wearing his glasses. Just classic! Head over to David's site to see some more beautiful, creative and unique artwork.